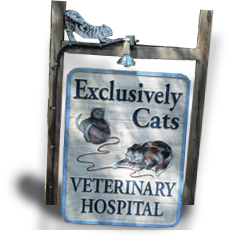 At Exclusively Cats Veterinary Hospital, our staff is cross-trained to provide a wide range of patient and client care. Being a small practice, we are all involved in patient care. This means every staff member will know what is going on with your feline, leading to a higher level of service. Our aim is to provide the best possible personal care to our clients and patients. When Claudia joined Exclusively Cats in January 2003, she brought with her 23 years of experience working in veterinary and facilities management. She is the person who keeps the building, the staff, and even Dr. Dunkle functioning smoothly. 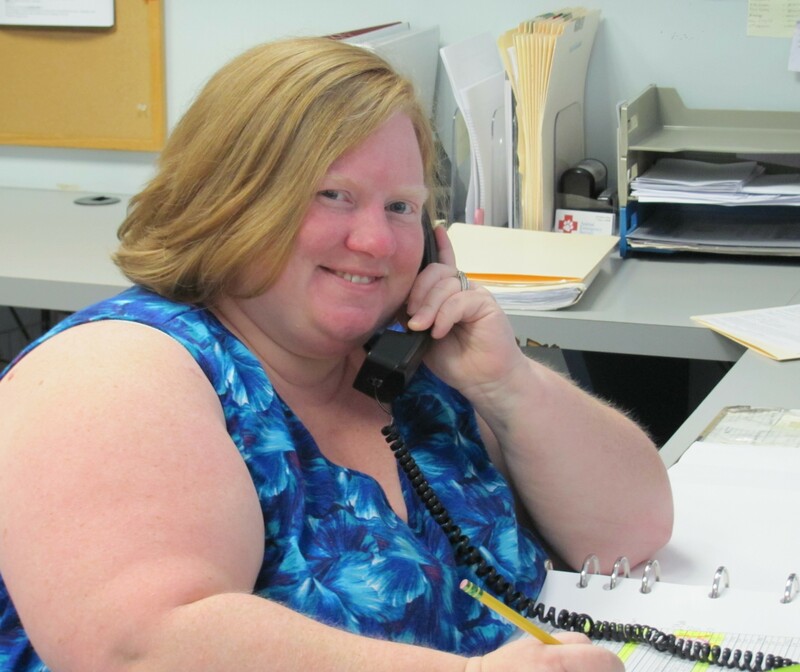 Whether it is ordering medical supplies, making sure that all shifts are staffed, doing the bookkeeping, arranging for repairs and maintenance of the building and grounds, or servicing clients at the front desk, everyone here at Exclusively Cats (and especially Dr. Dunkle) knows that they can count on Claudia! 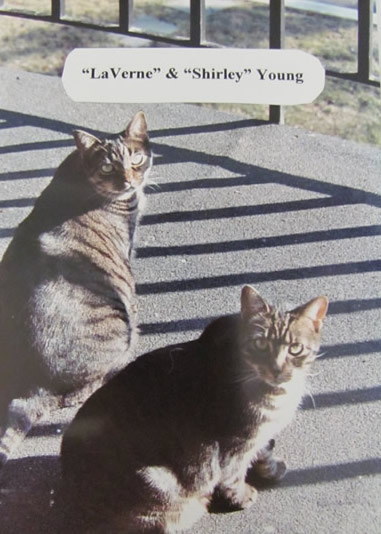 When Claudia goes home, she is greeted by her beloved Laverne and Shirley, two female tabbies, who say, “It's about time, Mom! Now you can serve us!” Wonderful, dependable Claudia! Melissa first joined Exclusively Cats Veterinary Hospital in April, 2004, while she was completing her certification as a Veterinary Assistant at BCIT. She left for “a break” in May, 2005 to start a family (working sporadically during these years when family life allowed) and then in February, 2015, we were thrilled to officially welcome her back! 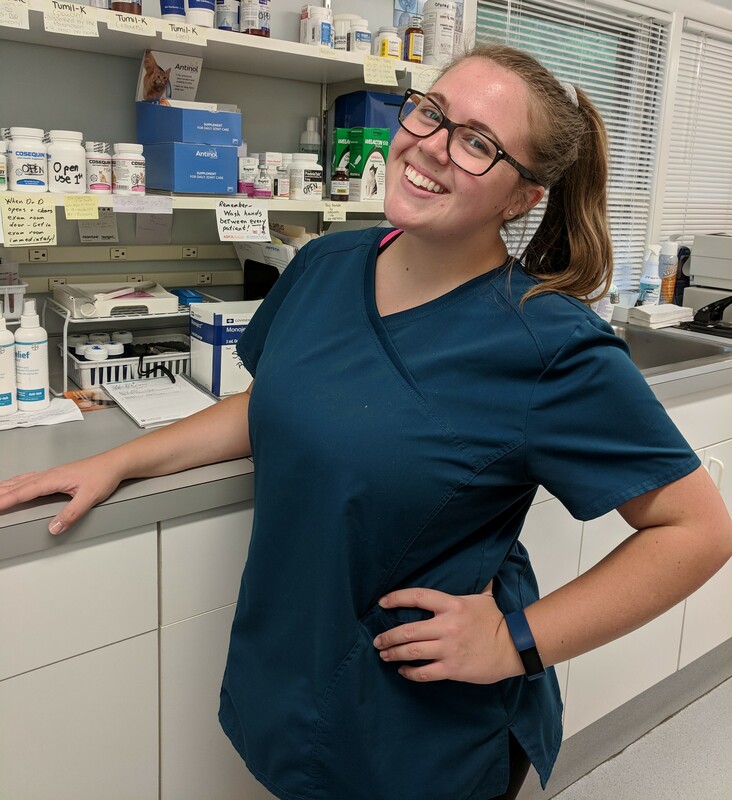 Melissa runs a “tight ship” at the front desk, but her warm personality, kind smile, and extensive knowledge of feline care lets cat parents know that they chose well to bring their beloved cats to Exclusively Cats Veterinary Hospital! We've been quite lucky to have Melissa as part of our family for all these years! 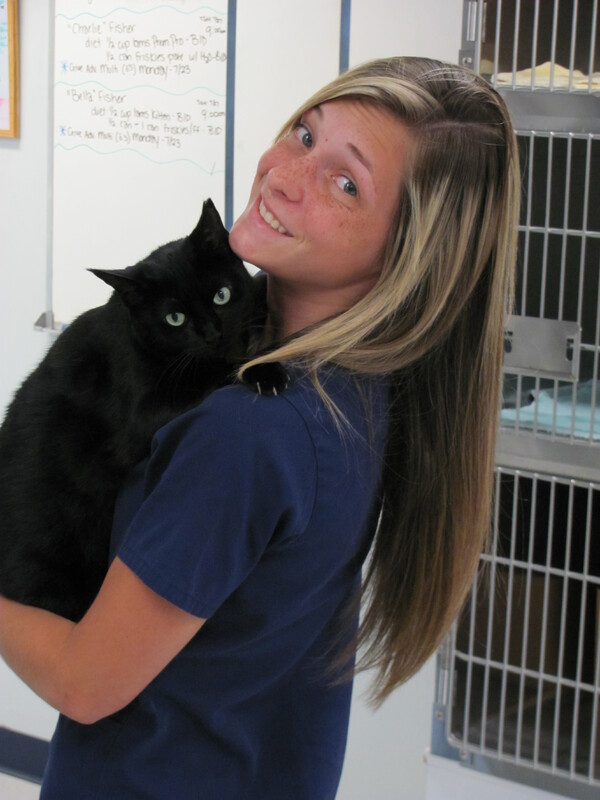 Bri joined the staff of Exclusively Cats Veterinary Hospital in February, 2010, while she was a senior in the Veterinary Assistant Program at The Burlington County Institute of Technology. She worked hard, learned quickly, and served for almost five years as Dr Dunkle's chief medical and surgical assistant, keeping patient care running smoothly. In 2015 , Bri decided to apply her keen organizational skills in other areas and you'll now see her working throughout the hospital. Bri is still an exceptional veterinary technician. (One of the best with which Dr Dunkle has ever worked!) But she now spends a lot of her time at the front desk and in exam rooms, making sure that our office hours run smoothly and our patient and cat parent care remain exceptional! Bri knows what it means to be a cat parent as she goes home each day to her beloved “boys”, Steve who is a super sweet tuxedo cat and Buzz who, like his name implies, is an outgoing and crazy brown tabby. Ah, yes, Bri knows what it means to be a true “cat parent”! 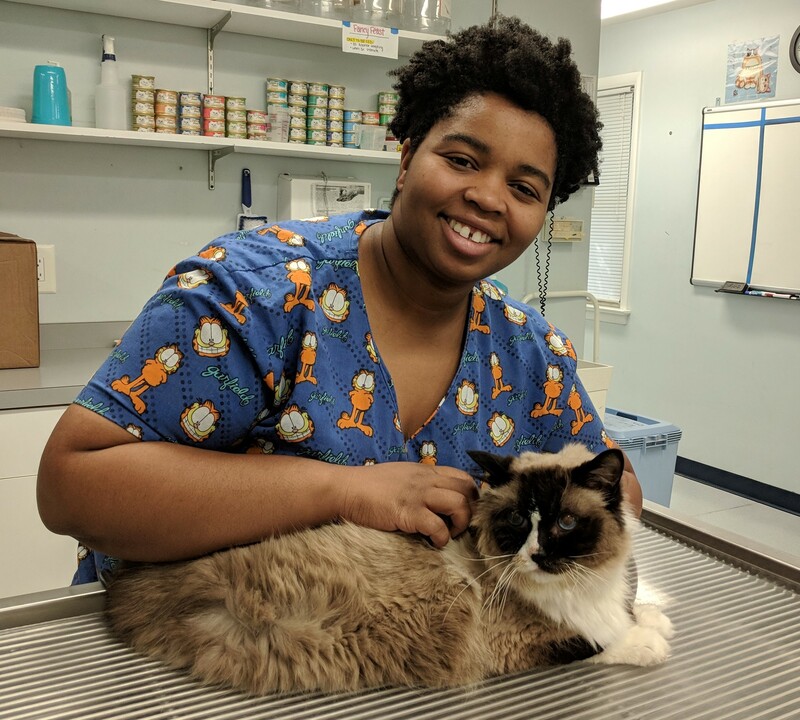 Alex joined the staff of Exclusively Cats Veterinary Hospital in October, 2017, while working on her certification as a Veterinary Technician at Camden County College. Alex excels at “calmness” and friendliness while performing her duties with exceptional skill. These qualities make her a favorite of the cats that she serves and gives cat parents a sense of “All is well if Alex is caring for my beloved cat!” She knows that every cat is different, so there are many different approaches that must be taken to “encourage” an individual cat to sit still for injections, fluid therapy, blood draws, and other medical procedures. Consequently, you may find Alex singing to one cat, hugging and cuddling another, or being quick but kind for another cat who “just wants to get done and get home”. There is simply no cat with which Alex can't work! Her gentle nature, along with her knowledge of feline medical care have made her a valuable member of the Exclusively Cats team and a “good friend” to both clients and patients alike! Kendall first joined Exclusively Cats Veterinary Hospital in July 2012 in order to explore veterinary medicine as she attended BCC. She was a quick learner and was soon an excellent veterinary technician! Then in fall 2014, she left to attend Rowan University where she earned her bachelors in biology. But, fortunately for us, Kendall returned to Exclusively Cats in February, 2018, and proved that she had a lot to offer! Her patience and serene attitude still has a calming effect on both cats and people alike. Add to that her strong organizational skills, a willingness to do anything that is needed, and her continuing strong dedication to feline medicine, and Dr Dunkle became impressed with Kendall beyond words! Consequently, Kendall is currently learning the art of “hospital manager” under the watchful eye of the slowing retiring Claudia. But don't worry! As Kendall learns how to take care of the hospital, she's still providing the calm, exceptional service to our patients and their parents for which Kendall is well known! Rose joined Exclusively Cats Veterinary Hospital in May 2003, with the qualifications of being…a cat. Her first job here was to train the staff in the tasks of caring for a “not weaned yet” kitten. In later years, she has also trained them in the tasks of caring for a cat with inflammatory bowel disease, eosinophilic granuloma complex, non-insulin dependent diabetes, and osteoarthritis. 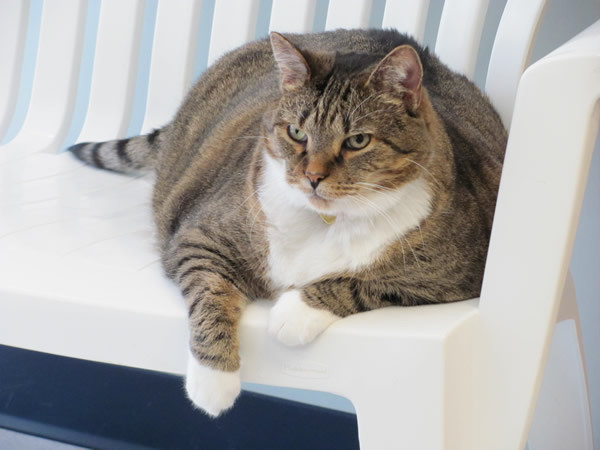 Although she is a “bit short for her weight,” she can be found running from room to room in the hospital supervising the client servicing at the front desk or patient care in the treatment room. She also serves as an excellent teaching model when the technicians need to demonstrate to nervous cat parents how to provide at-home medical care. Rose especially loves, though, to consult with Dr. Dunkle on which toys to order for sale in our waiting room. There is not a toy sold at Exclusively Cats that Rose (and various staff members’ cats) have not first tried out and endorsed! Rose is definitely not “Just a Cat”! Note: Rose sadly died in 2017 as a result of her many ailments, but Dr Dunkle and staff would like to keep her bio here on our site in memory of a GREAT cat whose contributions to Exclusively Cats will never be forgotten! We love and miss you, Rose!